Seniors will turn in their iPads after they complete their last final exam either on May 17 or May 18. There will be a table set up in the cafeteria to collect the iPads. Seniors will need to have their iPads charged to close to 100% when they turn in their iPads. Seniors will not have to turn in the iPad charger blocks and cable unless they want to donate them back to the school. Fees can be paid in the LHS Media Center by cash and check payable to Loganville High School. Online credit card payments can also be made at www.mypaymentsplus.com (please print the receipt, and give it the Media Center staff)​. PSO, AP, WBL, and Hospital Homebound students, who will not be on campus on the iPad Collection Days, will need to bring their iPads to the Media Center by May 18. Underclassmen will turn in their iPads during a special advisement period on May 18. Underclassmen will need to have their iPads charged as close to 100% as possible when they turn in their iPads. They will be using their iPads for SLO testing on Thursday (5/19) and Friday (5/20), and they will need to make sure their Pads are charged for the testing. Underclassmen are encouraged to bring their iPad chargers to school on Thursday and Friday in case they need to charge their iPads. Underclassmen will be getting their same iPads back next school year. Underclassmen will not have to turn in the iPad charger blocks and cables. 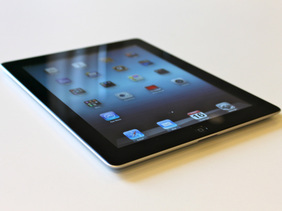 They will need to store them in a safe place over the summer, so they will have them next year to charge their iPads. Lost/Stolen iPads: Underclassmen will need to pay for lost or stolen iPads. Damaged iPads: Underclassmen with damaged but operational iPads can choose to wait to repair the iPads until next school year or pay to have them repaired over the summer. ​If underclassmen know they are withdrawing over the summer, they will be responsible for paying for the damaged/lost iPads or cases when they withdraw. PSO, AP, WBL, and Hospital Homebound students, who will not be on campus on the iPad Collection Day, will need to bring their iPads to the Media Center by May 18. Prior to iPad Collection Days, students should save their iPad files to another location. For more information, CLICK HERE.